It shouldn’t just be up to the younger generation to play and have fun! 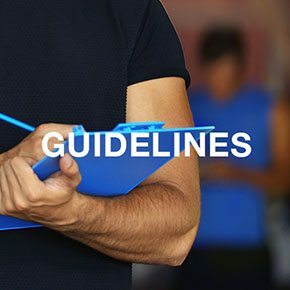 At American Family Fitness we believe that you should be able to take part in your favorite sports activities as adults. Come play your way to a fitter lifestyle while having a blast! Wouldn’t it be incredible to experience your childhood glory days again? When you had all that energy? 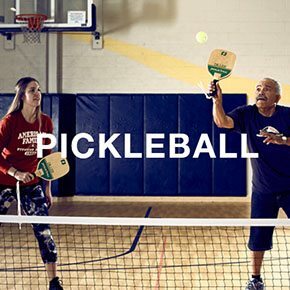 With the engaging Pickleball League at American Family Fitness in Fredericksburg, you can prove to everyone that you still have the moves from your younger days! With the exciting action and friendly atmosphere you will wonder why you ever stopped playing! Improve your health and fitness by playing a game that’s fun and fast. Come talk to someone today! It’s time to get back in the game at our gym in Fredericksburg! 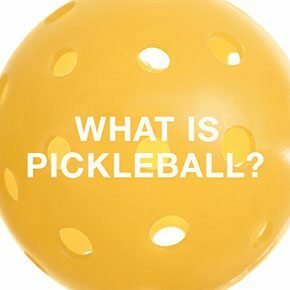 Within the Pickleball League, participants can choose to play as doubles or singles. The ball may only be served utilizing an underhand stroke, and the server may only hit from behind the baseline on one side of the center line. Only the serving side is able to score a point, and play ends when one side commits a fault. The first side that scores 11 points, and is leading by at least two points, wins. Start having fun today! Pickleball is a wonderful game that you can participate in at the best gym in Fredericksburg! It is an exciting sport that combines parts of tennis, badminton, and ping-pong. It can be played as doubles or singles, and players utilize a paddle and a plastic ball with holes. Come join in on the newest sport craze! Are you ready to smash your way to new heights? Reignite your love for the game with our state-of-the-art pickleball courts at our Fredericksburg gym. With constant action and non-stop fun, you can swing your way to a more active you!